Parents and staff who have joined together for the purpose of creating the best opportunities for Skyview students and to enhance the educational, social and athletic experiences for ALL Skyview Students. What types of things do Boosters do for Skyview? Members are "in the know" about what is happening at Skyview. 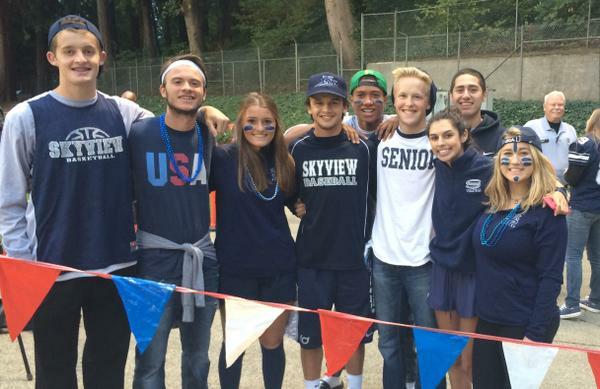 ​Your input and support is vital to our quest to help improve the student experience at Skyview. We want the best high school experience possible for our young adults. Supporting Skyview Boosters is a great way to be involved and give back to the Skyview community that is helping to shape our young adults. Board Meetings - Sept. 25, Oct. 23, Nov. 27, Jan. 22, Feb. 26, Mar. 26, Apr. 23 and May 28.